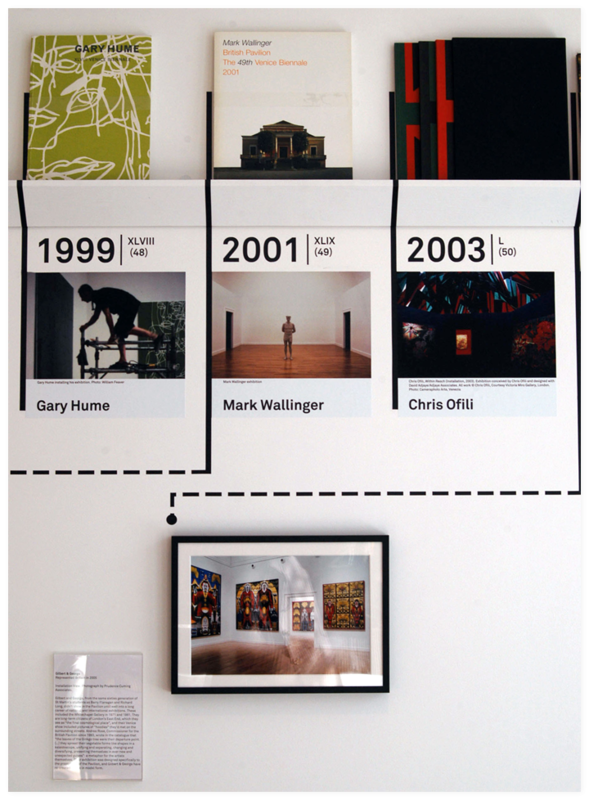 The first of two exhibitions designed for the British Council at the Whitechapel Gallery in London, the show was focusing on the history of the British Participation at the Venice Biennale, through its catalogues and a few highlights. We designed the architecture and graphic displays. 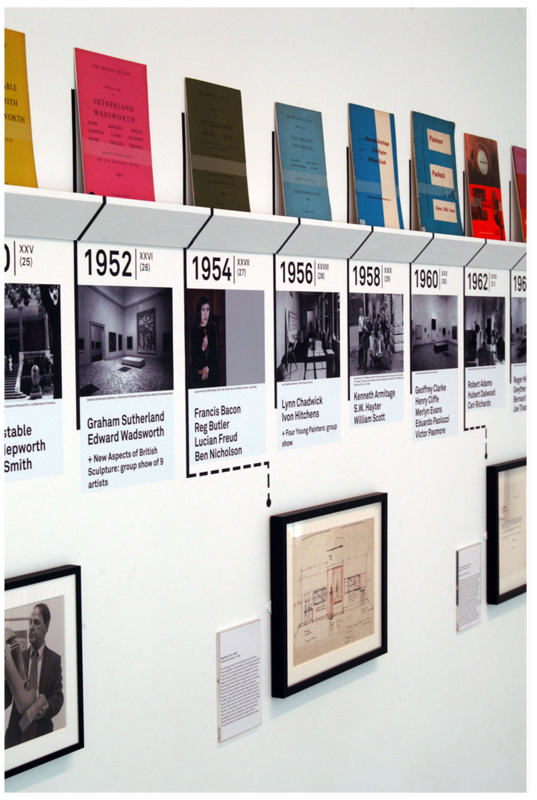 British Council started curating the UK participation to the Venice Biennale in 1938. We wanted to show the continuity of this effort, through a timeline and highlights. 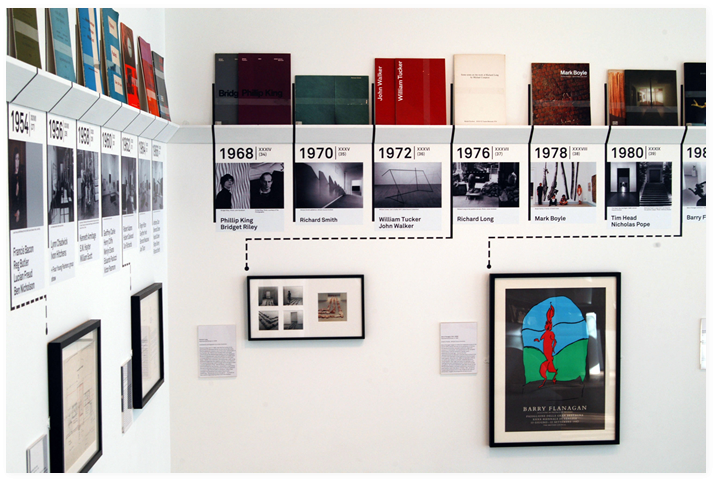 For each year, an archive photograph, the theme and the list of participating artists. 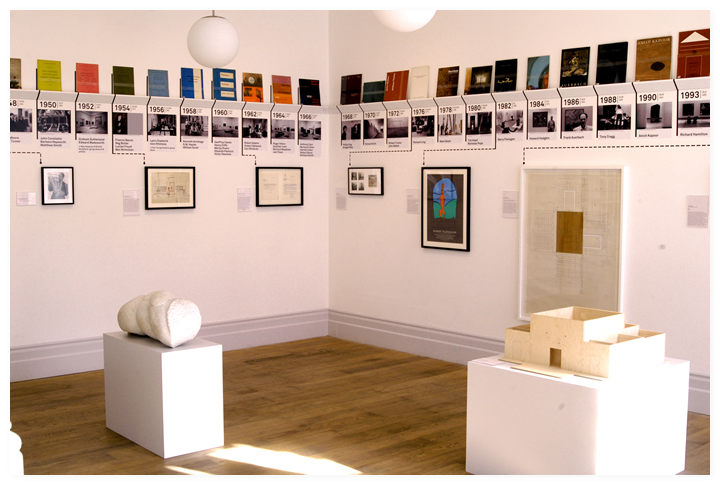 On some years, we had extra material to show, including a model of the pavilion with the work by Gilbert & George.